During the apprenticeship programs, the apprentice receives both structured, On-TheJob Training (OJT) and job-related education. For each year of the apprenticeship, the apprentice will normally receive 2,000 hours of On-The-Job Training and a recommended minimum of 144 hours of related classroom instruction. The length of an apprenticeship program can vary depending on the employer, complexity of the occupation, and the type of program. Registered apprenticeship programs typically range from one year to four years. AGC’s apprenticeship programs range from 2-4 years. Apprenticeships usually get paid on a graduated scale as their skills and experience increases, and of course learns a trade at the same time. For more details check out our booklet on Apprenticeships! Contact AGC to get your own copy. Objectives of the apprenticeships are; Develop skilled workers through related instruction and formal on-the-job training Train workers who will remain a part of the state’s construction workforce Provide opportunities for the training and upgrading of minorities, females, disadvantaged individuals and assist contractors in meeting their affirmative action plans. I’m ready to Earn While I Learn! How do I get started? Age – Shall be at least 18 years of age. Physical – Shall be physically capable of performing the essential functions of the occupation without endangering the health and safety of themselves and/or fellow workers. Aptitudes – Shall possess the aptitudes essential for acquiring the skills and proficiency of the trade. Education – Shall possess sufficient educational knowledge to satisfactorily complete the on the job training and related technical instruction. Applicants selected for an apprenticeship that does not possess a high school diploma or a GED shall be required to complete high school or obtain a GED prior to completion of the apprenticeship. For more information visit the www.buildsouthdakota.com. If you should have questions, please do not hesitate to contact Michael O’Neal at 605-951-1665 or michael@sdagc.org. For a list of participating AGC Sponsors please visit mynextmove.org. This is a somewhat un-conventional approach to an apprenticeship program as we are offering this as a full-time day-time 40-hour per week class for one month each year over a 4-year apprenticeship rather than the traditional one night per-week approach. This allows the apprentice to come to class full time for a month during a slower season, then not be committed to a weekly class schedule. This approach is being taken in some other states. If we receive enough demand for night classes, we would also be interested in offering them. Our 4 month Electrical In-Class Day Time Apprentice Training program will consist of (4) One month Blocks-Our Apprentice Training Program can be completed in as little as 4 months compared to a typical Technical School 2 year program! -Twice a Semester, back to back- in a 2 month period. following semester- typically 6 months later when cycle starts over. ▪ Or All 4 Blocks in a Year back to back in a 4 month period. • In-class training will prepare you with knowledge to advance for on the job training as an Electrical Apprentice. • After completion of our In Class Training, 4-years of on the job work experience as an Apprentice Electrician is required to qualify you to take the Journeymen State license exam. • Job Placement assistance will consist of placing your Resume with our Data Base of Registered Electrical Contractors in the 4 State Region. WDT’s Corporate Education Center conducts apprenticeship training programs approved by the U.S. Department of Labor, Bureau of Apprenticeship & Training. Apprenticeship works because it is one of the most effective ways to meet the workforce needs of business and prepare workers with in-demand skills in almost any industry. Apprenticeship programs are industry-driven and are voluntarily sponsored by employers, industry associations and labor management association. Apprentices receive on-the-job training and related instruction, resulting in a national certification. Students of this program must be employed and sponsored by a plumbing company to be eligible for this program. The sponsoring company must be a member of the South Dakota Association PHCC. 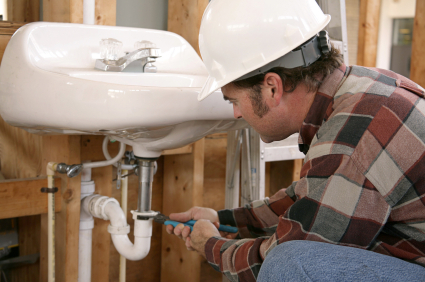 The course provides classroom and lab instruction for individuals currently employed at plumbing companies to complement concurrent on-the-job work experience. contact the Corporate Education Center at 605-718-2410.